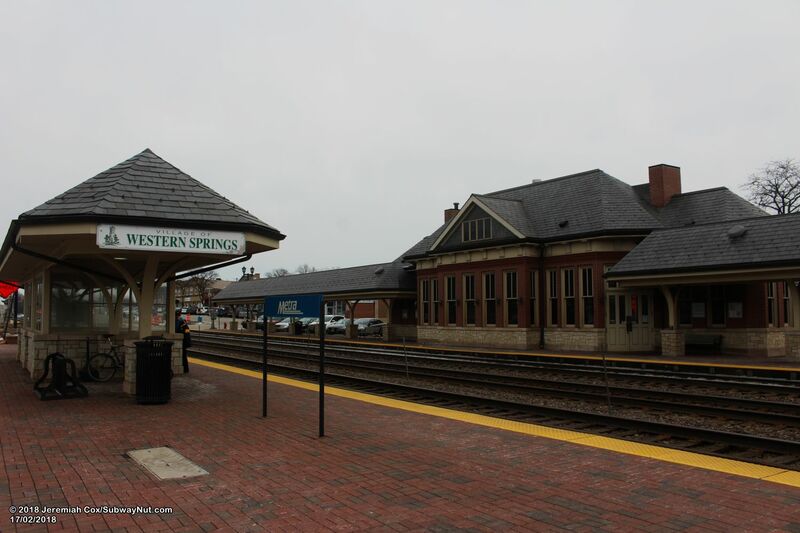 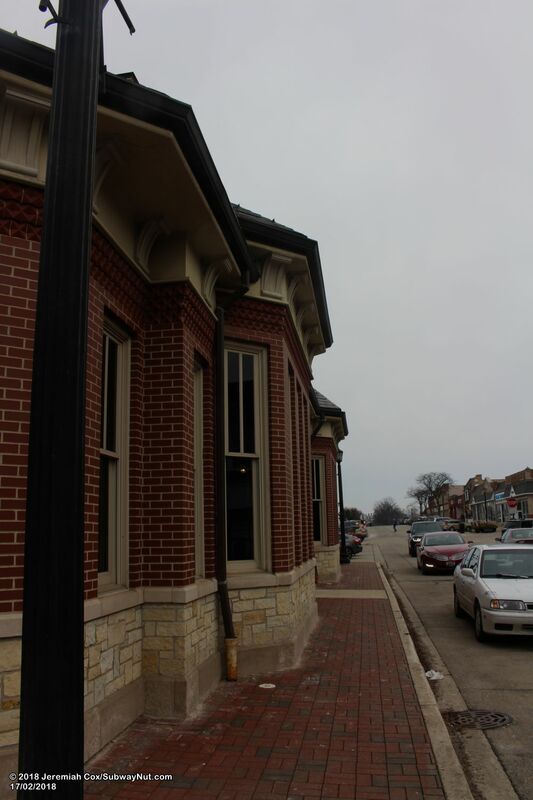 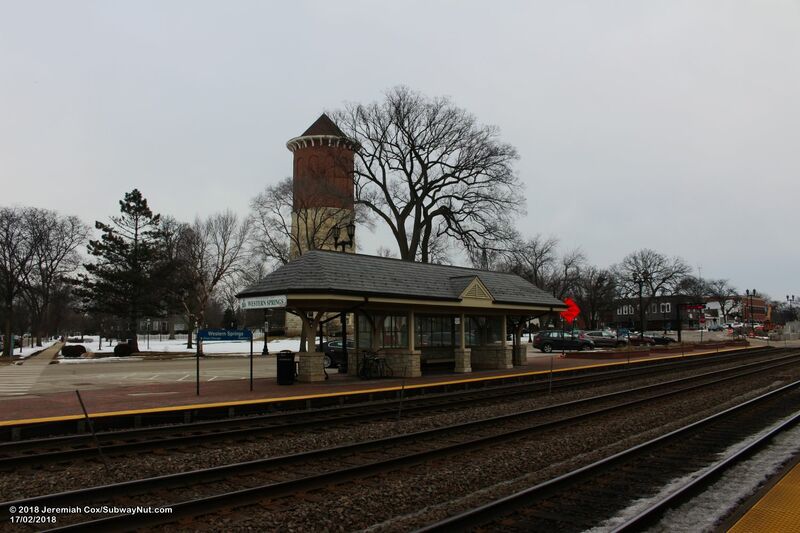 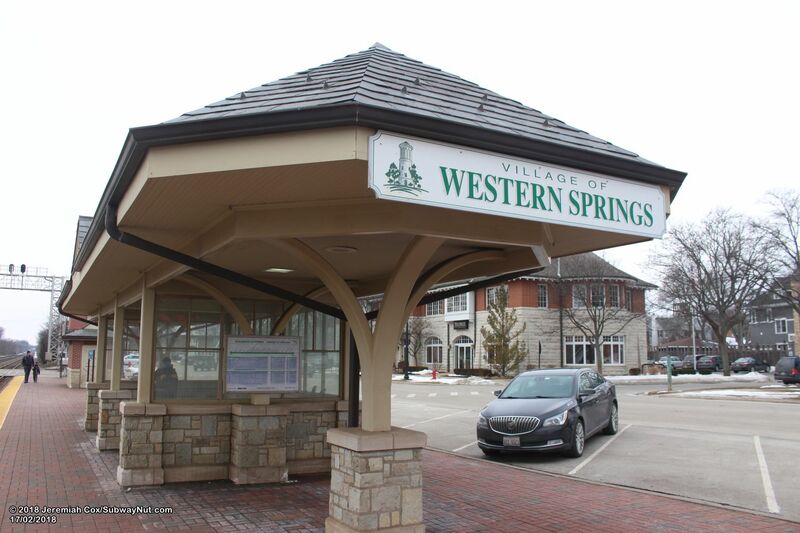 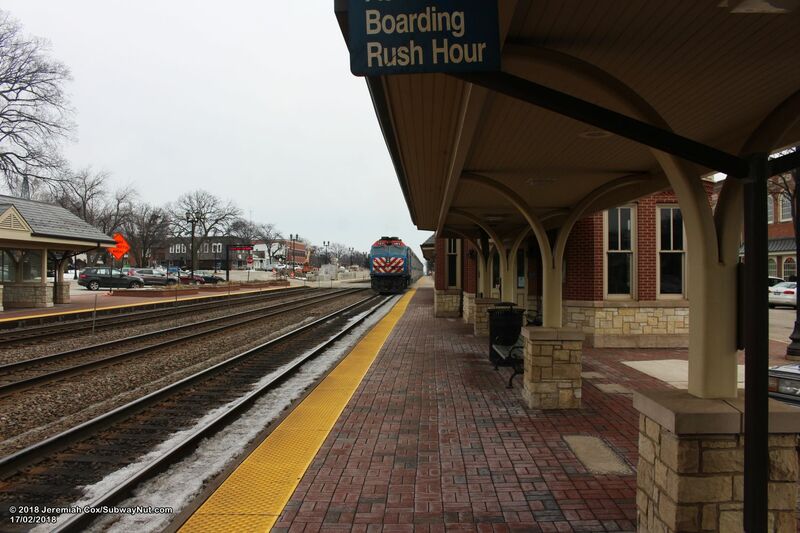 Western Springs is a BNSF Railway Station in the center of the Village of Western Springs. 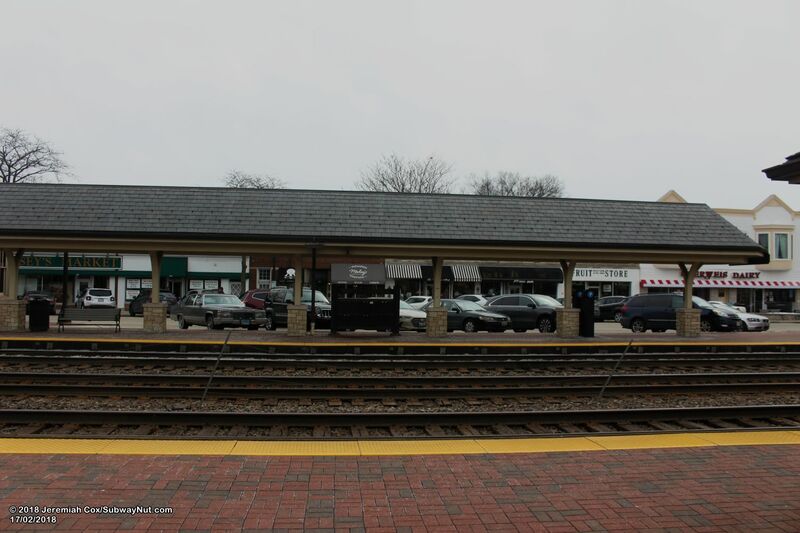 The station consists of two side platforms for the 3 track line nestled between Hillgrove Avenue along the Outbound platform and Burlington Avenue along the Inbound platform. 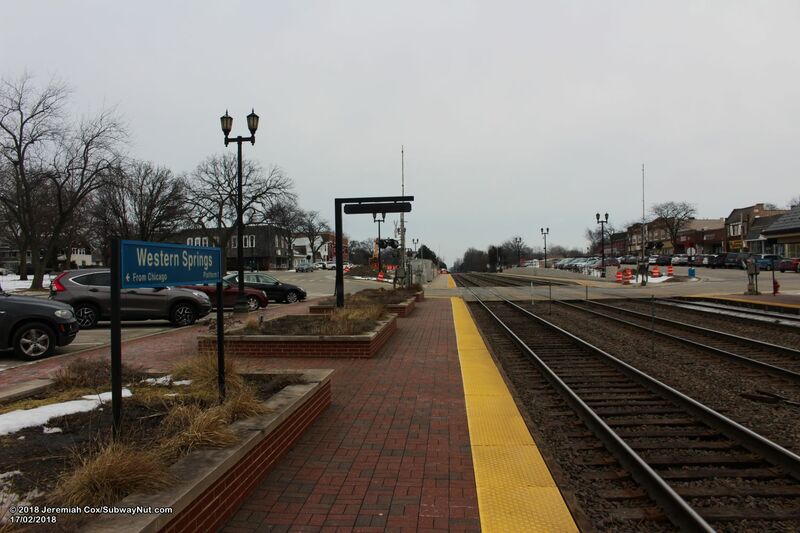 The platforms run from the Grand Avenue grade-crossing at their western ends to the grade-crossing of Lawn Avenue in the middle of the platforms to Wolf Road at their eastern ends. 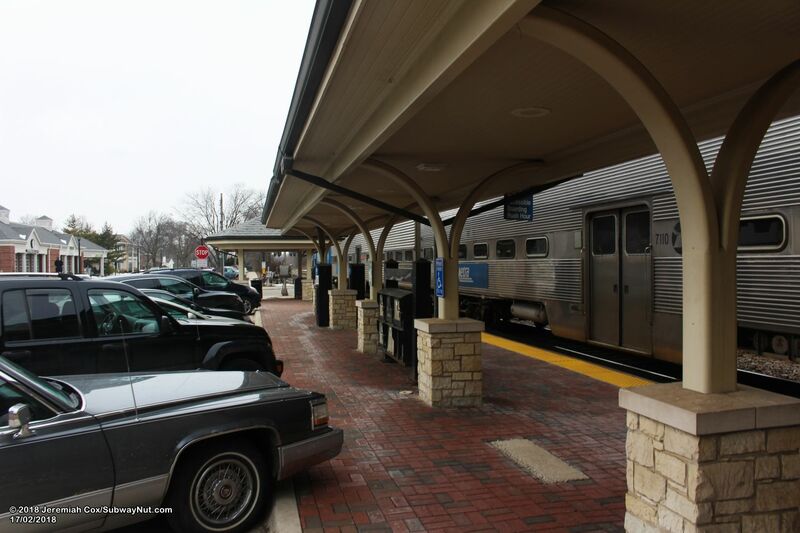 The two sections of the platforms are distinctively different. 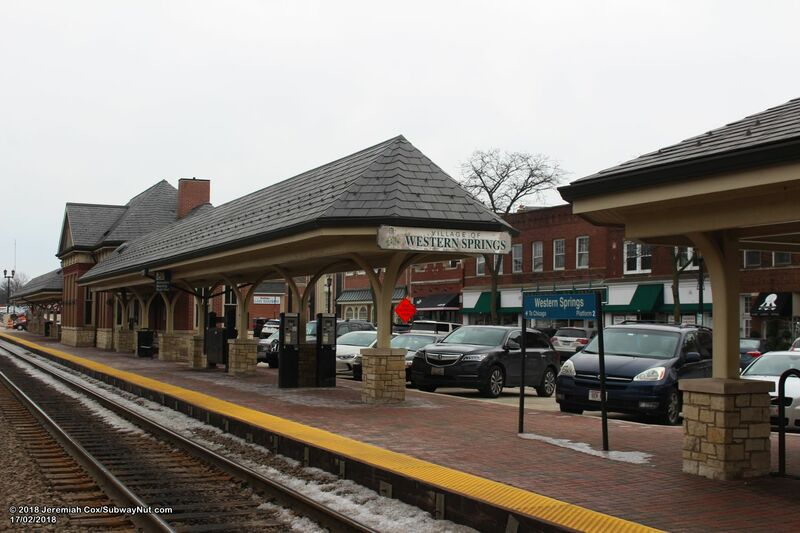 The western-half near Grand Avenue is the main section, the platforms are made of brick, and contain all amenities for waiting passengers. 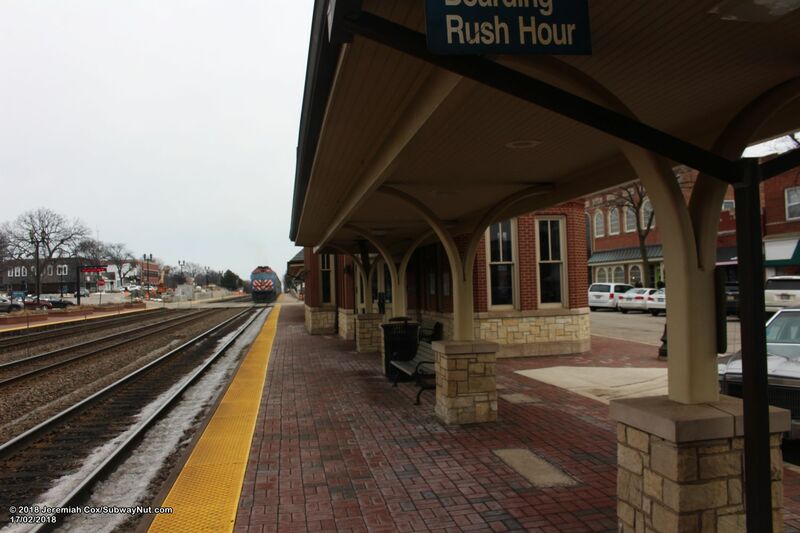 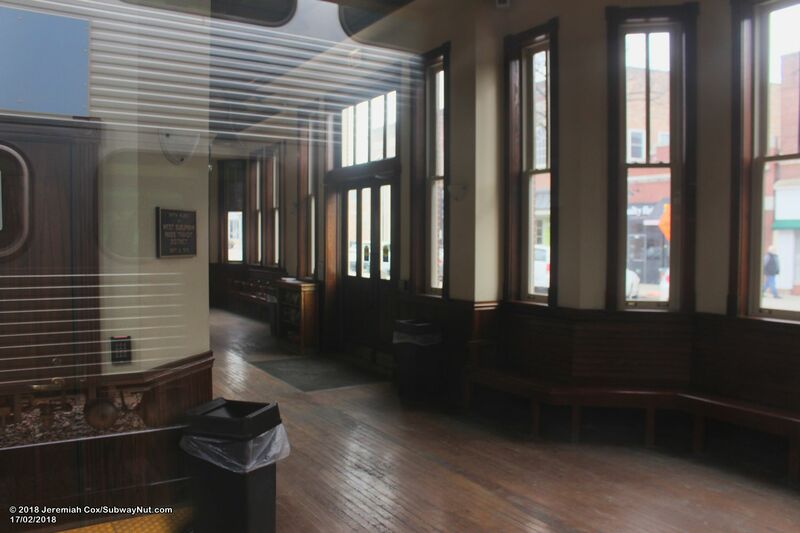 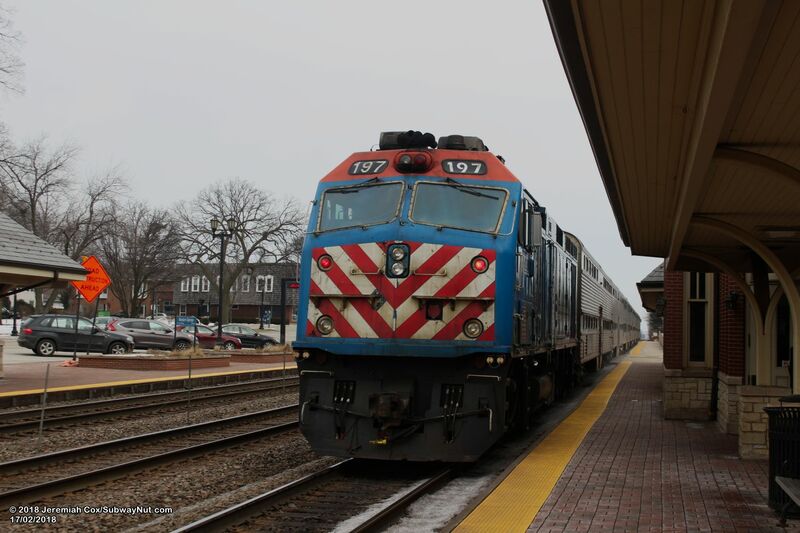 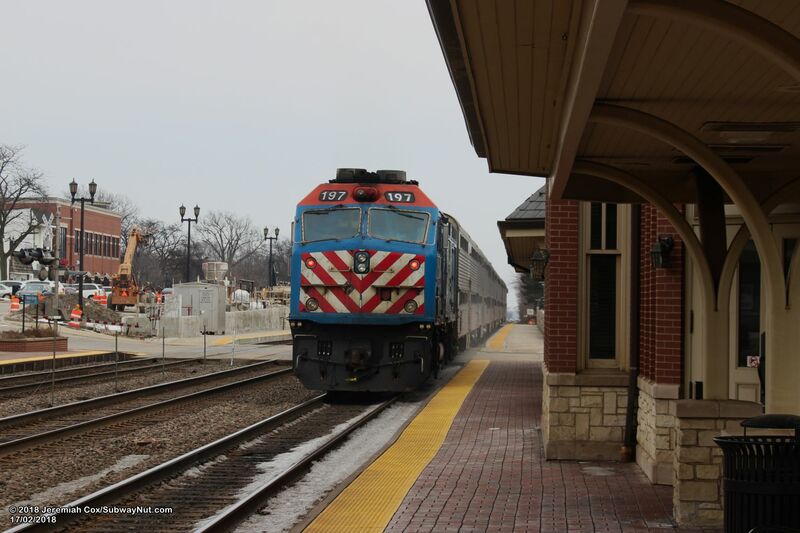 The eastern-halves are simple and were previously made of concrete, although a downtown revitalization has replaced these with bricks in a similar style and are just a platform extension so long trains can platform all of their cars. 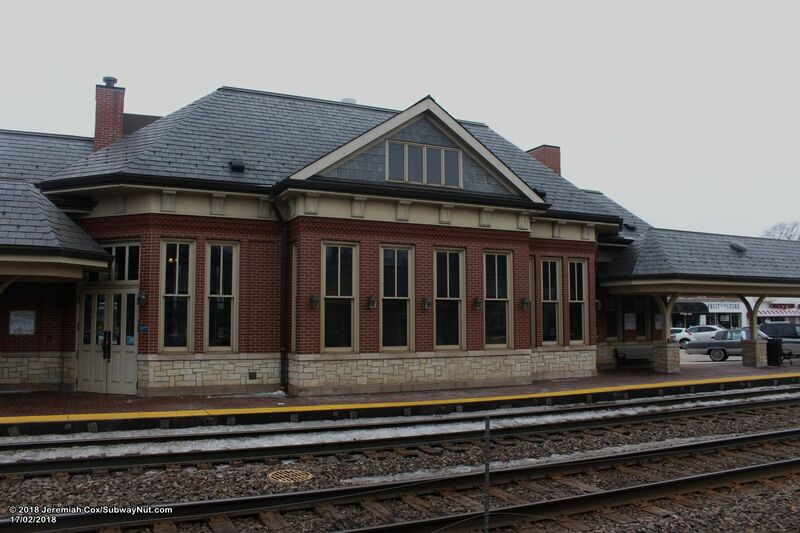 Passenger amenities consist of a brick station house on the Inbound platform that barely seems to fit between the platform and Burlington Avenue (there are parking spaces on each side but not in front of it). 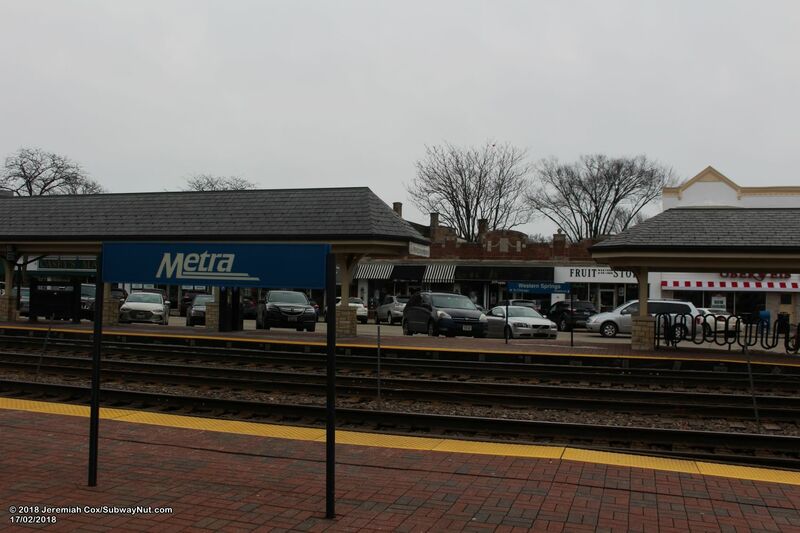 Inside is a ticket office open for on weekday mornings shift and a waiting room open according to Metra's website from 4:30am to 6:50pm (at least on weekdays, it was closed on a Saturday when I visited). 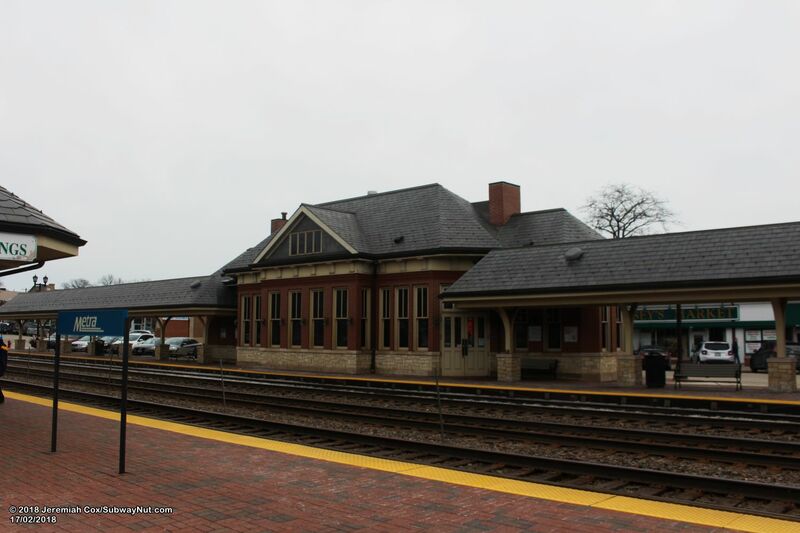 Nearly attached to the station house are long canopy structures with gabled roofs that cover most of the western-half of the Inbound platform in the same style of the station house. 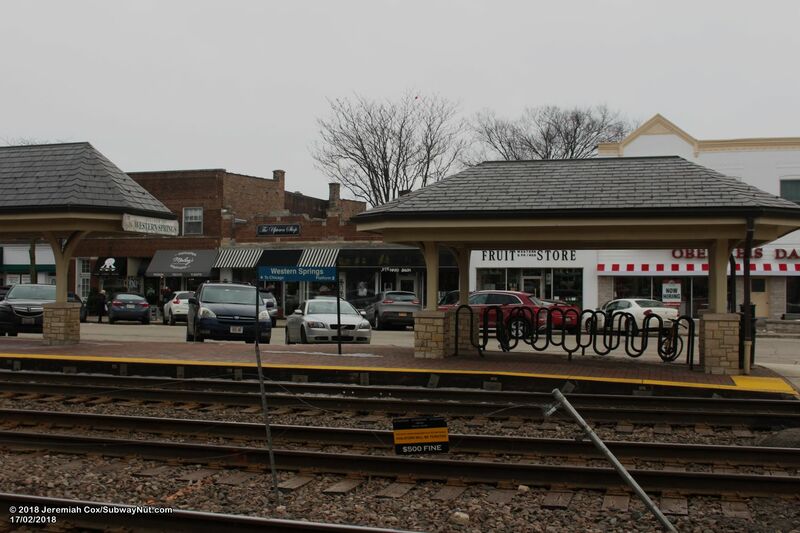 A mini-section of canopy covers a bike rack at the western end of the platform near Grand Avenue. 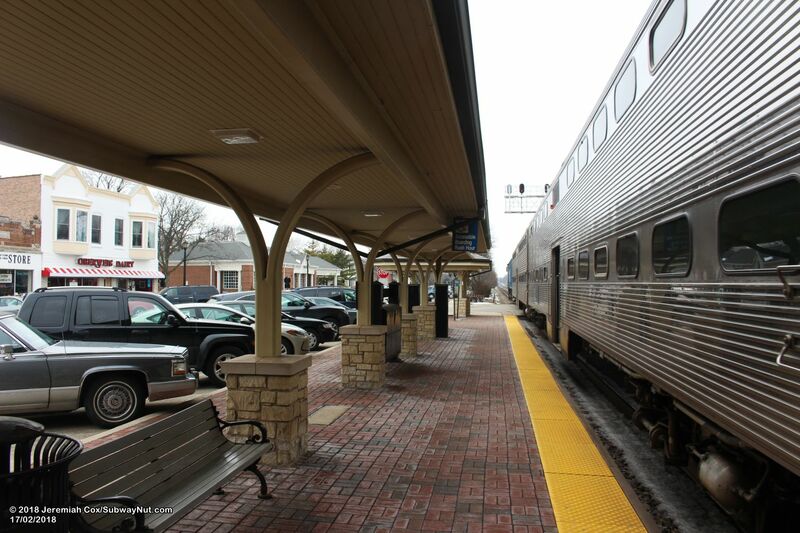 The Outbound platform has a smaller canopy with some windscreen benches across from the depot. 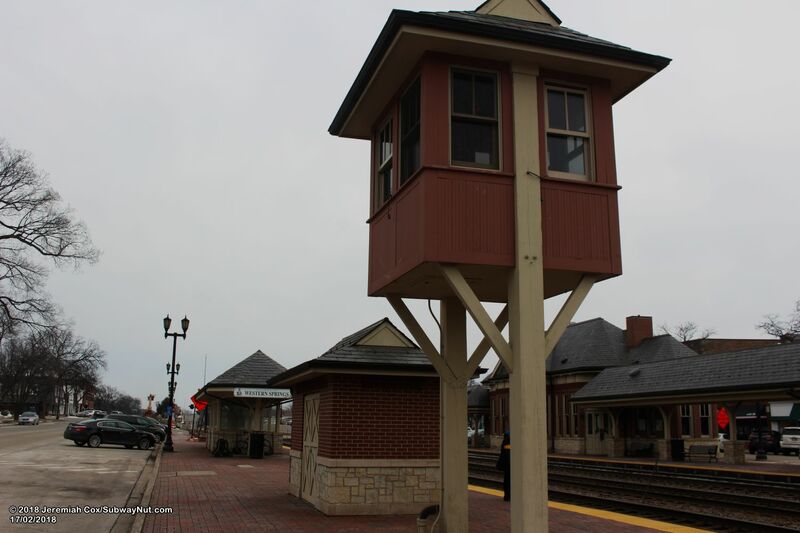 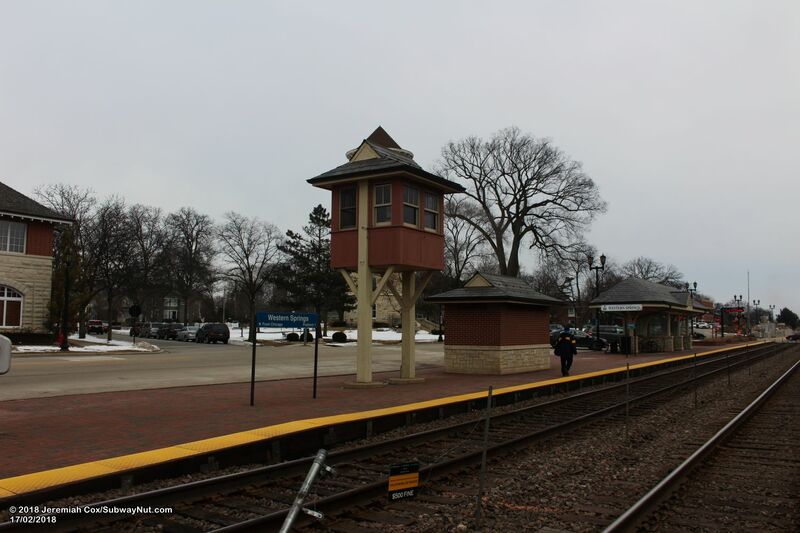 The outbound platform also has an elevated square wooden structure that resembles a mini railroad tower (with two sets of windows on each side) but held up by just two wooden support beams (no staircase) and a shed on the platform without windows in a similar style.